Well, almost. But the Kickstarter is! 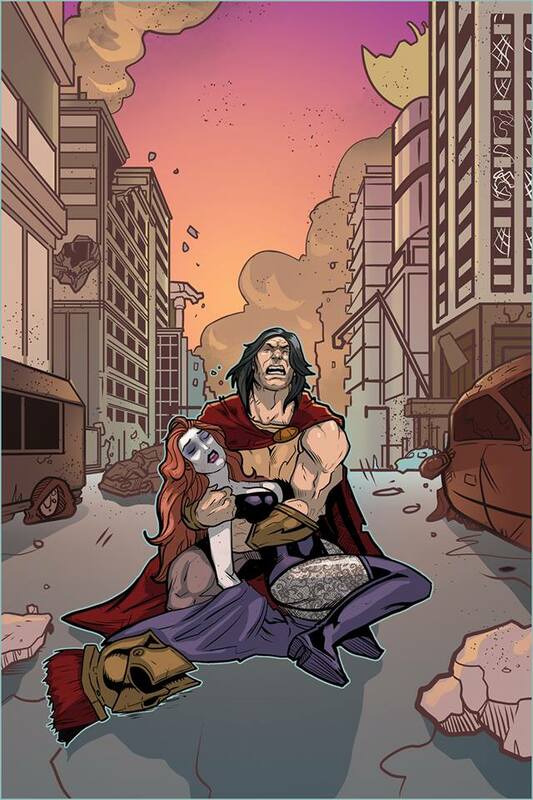 Are you ready for a new shared superhero universe full of good guys, villains, and over the top battles betwixt them? Then this is the project for you. "Here at Silver Empire, we've been waiting nearly a year to bring you the exciting Heroes Unleashed project! We've collected the best up and coming authors to bring you this amazing, first of its kind collection of new, interlinked superhero novels! 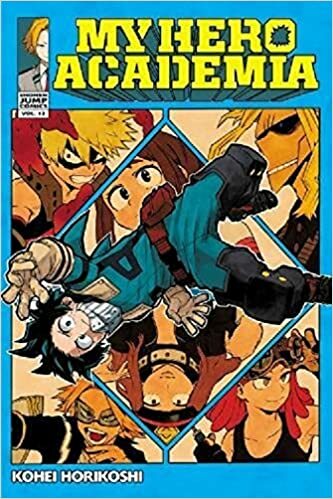 No, these aren't comicbooks or graphic novels, these are straight up novels, packed with all the superhuman action and goodness you could ever ask for! "Authors Morgon Newquist, J.D. Cowan, Kai Wai Cheah, Jon Mollison, and Richard Watts bring the Heroes Unleashed universe to life with their five Phase I novels. Each novel will begin a series of its own that will continue for at least three books." Yes, that's me. I'm one of the authors involved in this project. My series is called Gemini Man, and the first book is entitled Gemini Warrior. It's been an idea broiling in the back of my head for a long time, and Heroes Unleashed is the place where I can finally let it become a reality. Matthew White is a young and cynical man, and Jason Vermilion is an idealistic teenager with hopes for the world. When they volunteer for an experiment, they get more than they bargained for: a set of bracelets that bestow each of them a different power! But they also become tethered to each other in the process. Before they can even get used to that, they are thrown into a whole new world of swords, lizard men, and a malignant force beyond what either of them have ever seen. Now not only do they have to get used to their new powers, but also make it out of this strange world before they are swallowed whole by it. Here they will become warriors. If you've read any of my stories before, then you should know to expect lots of action and a blistering fast pace. This was a lot of fun to write, and I hope you will decide to give it a try yourself! "Imagine Serenity City, a beachfront city on the east coast. For years, the city has been protected by the Triumvirate - three of the most powerful, and certainly the most famous, heroes in the world. Achilles with his super strength. His wife, The Banshee, master of deception and guile. And their best friend Pendragon in his shining armor. No serious threat lasts long in Serenity City under their watch! "Until the Rampage - the infamous day when Achilles lost his mind, leaving a half-destroyed city and the body of the Banshee in his wake. 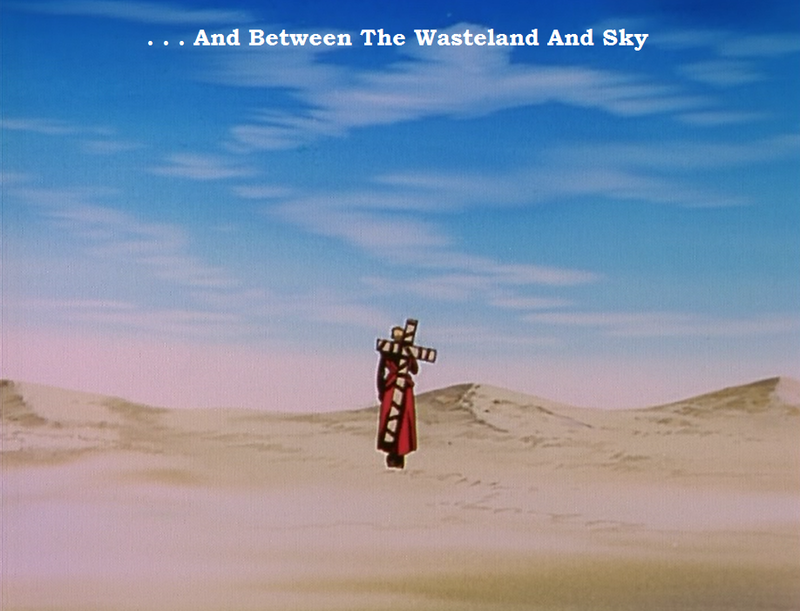 "Twenty years later, Serenity City is completely changed. Pendragon still reigns as the world's most famous hero, but he reigns alone. Banshee still lies in her grave, and Achilles rots in solitary confinement. Young Victoria, an up and coming hero, finds herself investigating a new mystery. Why are young and forgotten heroes disappearing off the streets? Why doesn't anybody else care? And how is it tied in to those infamous events that brought the city's greatest heroes to ruin? "And when Achilles escapes, it throws a wrench in everything! "But nothing is as it seems in Serenity City: Heroes Fall by Morgon Newquist. Serenity City will continue after Phase I to be four books total." I have read this one, and yes, it is as good as you think! Villain onslaughts and desperate hero battles aplenty. There's also a few curve-balls that will take you by surprise and engaging characters to guide you along. If you like your fiction fun and action packed then this is the series for you. And those are just two of the works in this project! Kai Wai Cheah lets us follow a vigilante against the whole world (or city) in Hollow City. Jon Mollison contributes a super-spy piece with plenty of conspiracies to go around in The Phoenix Ring. And Richard Watts goes mystical with the last knight of Atlantis attempting to stop the plot to raise a chaos god in Atlantean Archons: Apprentice. No matter what type of superhero style you like Heroes Unleashed has you covered. Not to mention, that is only Phase I. There are other authors coming on board, not to mention sequels to the above that will keep your eyes on the page (or screen!) for hours and hours. Should you want to jump on this train today is the day. The campaign will be running for a hair under three weeks, and has more than enough tiers to choose from in order to pick what suits you just right. As I've said many time before on this blog: things are turning around. Heroes are returning to the forefront again to beat back the darkness. And now is the chance to show just what we are made of and what it is we really want. A lot has been happening recently, so I thought I would use this chance to update everyone at once with one big post. So buckle in. This should be good. First up is Cirsova. You might have realized I have reviewed 7 of the 8 available issues of this magazine. That is because I genuinely believe in it. Whether you are part of any Pulp Revolution movement or not, Cirsova runs great stories that are sure to excite the reader and stir their imagination. It is one of the best out there. It is also currently running a kickstarter campaign to fund its second volume and is 4/5 of the way there with four days to go. It's getting down to the wire! 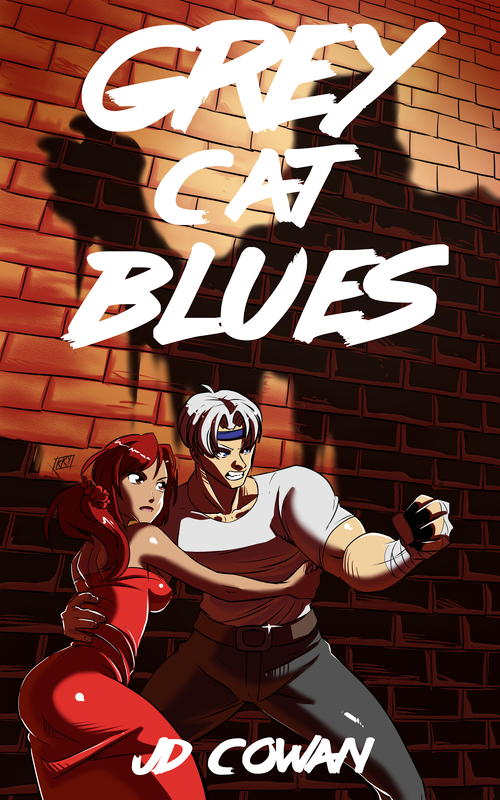 But if you donate at the $20 tier or higher you will also get some free e-books along with Cirsova's 2 new issues, including my book Grey Cat Blues for free. So if you want a bit more bang for your buck, there are plenty of tiers available. More e-books will be added in the days to come, so jump on! There is no better time than now. Another crowdfunding campaign (and one I am not directly involved in) is the one for the Star Knight Saga space opera mecha series. Pulp Revver and Superversive student, Bradford Walker is creating his own mecha series that is influenced by not only the Mobile Suit Gundam franchise and old super robot series, but also classic space opera like the Lensmen and Skylark books by E.E. Doc Smith. His goal is to combine everything great about classic space stories and put them into one massive series. The excerpts he has released sound great, as do the designs he has shown off. However, it is also already funded. Throwing in a couple of bucks will guarantee you the first book in the upcoming series. But the more the campaign makes, the more he can fund later books and even eventually look into merchandising. This is a highly ambitious project, and one well worth looking into if you want more exciting space opera and/or mecha works. Lastly, on the crowdfunding side, is a comic by PulpRev dynamo Jon Del Arroz called Flying Sparks. JDA has been pumping out quality material like crazy recently, and this is his hat in the ring for the newly rising indie comic scene. This one is funded, but he is still trying for the final stretch goal. You can find the campaign here. As you can see, things are quite busy and exciting in the PulpRev world right now! But as for me? Well, I've got a few updates of my own. I was recently invited on the Jim Fear podcast to talk about writing and many other things that tickled our interest. The episode is rather long, but we had a blast. I hope you like talk about video games and anime, because we also went there. The whole thing was a lot of fun, so please check it out. The episode is available here. I also revealed a few tidbits in this episode, including the fact that I am involved in Silver Empire's Heroes Unleashed project as one of the first writers. My project is called Gemini Man and is about two heroes who have separate powers, but combine into one. I described it as the Wonder Twins meets John Carter, though it is a story I had been thinking of doing for quite some time. We are currently looking at a Fall release. The first book is called Gemini Warrior. It is quite action packed! There are a lot of great authors also involved in this project, but it is not my place to reveal them yet. Nonetheless, I suggest keeping an eye on the site, and this blog, for future updates! 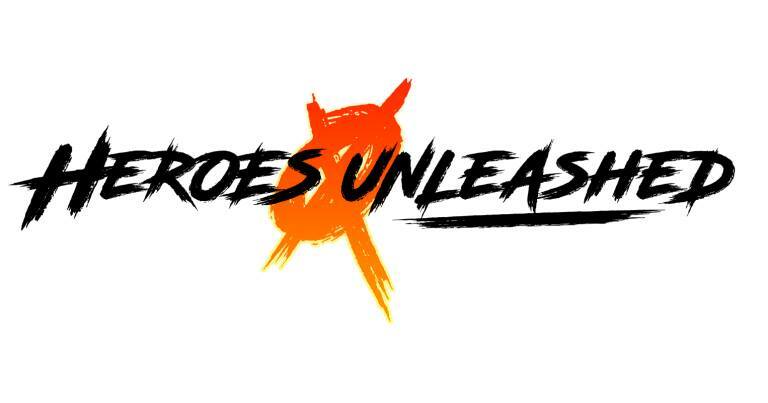 One last thing, Heroes Unleashed will also be having a Kickstarter in the middle of August, so please be sure to be on the look out for that. I will post about it when it's live, too. 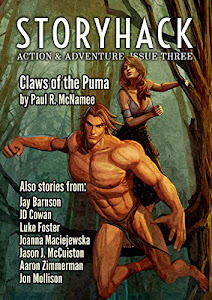 I have also recently sent back edits for a piece I submitted to StoryHack magazine. My story is called Inside the Demon's Eye and will be in the third issue coming later this year. I can assure you that this was a good deal of fun to write, and is not something I could have written even two years ago. This is a story I wrote after reading a lot of C.L. Moore, getting ideas, and wanting to write a story in that vein only from my pen. It's about an adventurer in the mythical Black Lands under the eye of the demon who is pursued by a creature feeding on his mind and soul. My editor on this one, Brian Niemeier, helped me polish this to a shine and get the kinks out. Please look forward to this one when it releases! In other news, I also had a story accepted by Dimension Bucket Magazine. This one takes place in the same Hero Magic world as Someone is Aiming for You and Lucky Spider's Last Stand, and is from the villain's perspective as he discovers new abilities within himself. It's called Endless Nights in Villain City. If you enjoyed the previous stories in this series you're sure to like this one. It's terrifying! Lastly, I have a few stories submitted to other places, one of which I almost have a confirmation on, but can't reveal it yet. It's killing me not to tell you, but that's just how it is. Nonetheless, they are on the way! So as you can see, I haven't just been sitting on my hands! Quite a lot of gears are turning. 2018 is going great so far. Now that you know what I've been up to, hopefully you can see why I've been dying to tell you all this. There's good news aplenty! In non-writing news, I've also been playing the classic PC shooter Strife, which is a strange amalgamation of DOOM, Elder Scrolls, and Deus Ex, and is a ton of fun. Unfortunately, it has been almost completely forgotten. If you can get beyond the old school graphics, I highly recommend it. The game has otherwise aged well with fantastic voice acting, early 90s comic book art, killer music, and rock solid gameplay. "The underground movement in the '10s has been a very exciting place to hang out. 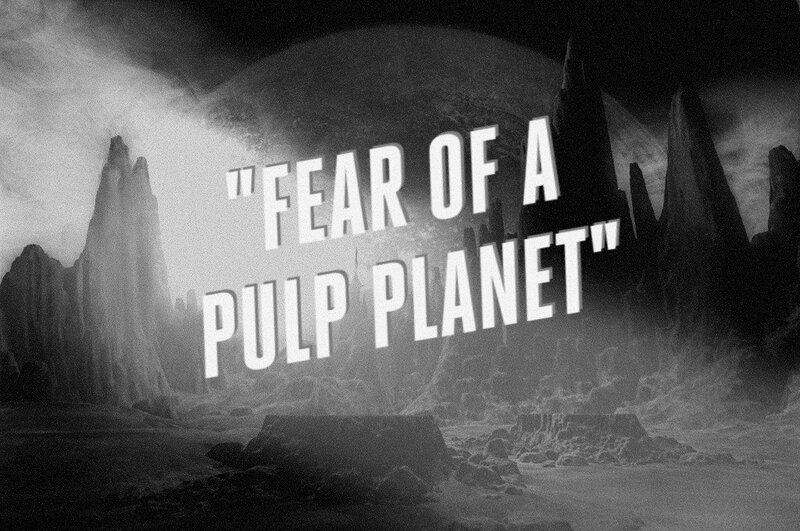 Literary movements such as PulpRev and Superversive are dedicated to doing what the dying traditional publishers refuse to do: bringing back the adventure and optimism long since thought lost. Indie comics are beginning to take root via crowdfunding while the larger companies hemorrhage money after hiring abysmal talent. Even music has seen a rise in genres like Retrowave to clear out the bad taste of modern pop music well past its expiration date. Independent film is also on the way, but it's taken its time. Even anime has seen college students cobble together funds to create original projects that look far fresher than what their industry is putting out. "For the first time since the '90s went out like a whimper, it looks as if storytelling is on its way back." It sure does look that way, doesn't it? The First Person Shooter. Now there's a genre of video games that causes all sorts of strong reactions. About the only ones that will get a fiercer reaction might be JRPGs or walking simulators, though for slightly different reasons. The First Person Shooter (FPS) has a history as simultaneously the most extreme and offensive genre and the safest and most tame for reasons that are quite clear to anyone who grew with the genre and its early roots in games like Wolfenstein 3D. It also the most unabashedly male genres. 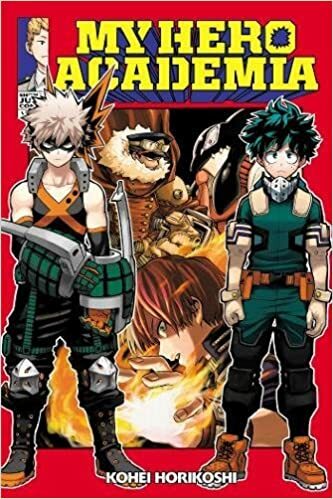 The main character is usually the most appealing to males, either musclebound men or attractive curvaceous women, utilizing a wide variety of weapons to battle insurmountable armies of soldiers, monsters, or aliens, that wish to take over and/or destroy the world. Levels typically involve much exploration and puzzle solving to get through, on top of it. In other words, these are as pure action adventure games you can get short of platformers. But because of its roots in 80s action movies, these games are now considered quite offensive, probably more than they were when they first came out. Me, I've personally never had an issue with putting a bullet into the brain of a demon or enemy agents trying to destroy the free world, but I've also grown up with the genre. Wolfenstein 3D, DOOM, and Duke Nukem 3D were the games I played the most of on my very first PC. I played GoldenEye and Perfect Dark to death on the N64. I was playing Medal of Honor on the PS1 before the World War II fad began and Timesplitters was the first PS2 game I ever owned. It was one of my favorite genres. And that's about the time where a lot of my interest died out. You see, in the '00s video games began harping about becoming "realistic" like other dying mediums such as novels and comics in order to be "relevant" to people who never cared about the medium to begin with. All of a sudden every genre had to "relate" to every single gamer (and non-gamer) which meant dumbing down the content to appeal to the lowest common denominator. In the process of doing so FPS games became the go-to action genre for mediocrity. It was now a safe space hand-holding session for wimps who like watching movies more than playing video games. The "bald space marine" cliche existed for a reason: those games are what choked the life out of the genre. The bombast was gone, as was the fun. If you want to know what I mean, simply look at the earlier entries in the genre. They may be "dated" now, but they still offer more gameplay and variety than any AAA game the industry drools out of its maw these days. I've spent the better part of the last year using my gaming time on these old relics, and they still remain fun. 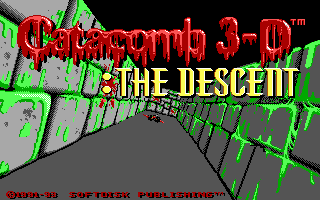 Catacomb 3D and its sequels were proto-DOOM with maze-like levels and plenty of demonic enemies and monsters to blast into goo. The Blake Stone games were a James Bond meets sci-fi monster movie in space mash-up. Rise of the Triad is a dime store novel come to life. The Star Wars: Dark Forces/Jedi Knight games brought pulp adventures with the open ended level design and varied enemy types that classic shooters were known for. Strife attempted to blend roleplaying elements with DOOM. And those are just the tip of the iceberg. Throughout the 90s, the genre only built on these games, constantly improving while holding onto its roots. Blood: One Unit Whole Blood is one of the best of the genre. It actually might be the best FPS ever made, or is close to it. Wide open levels, satisfying weapons, mad villains and demons of all stripes are hiding all over, and the trashy story about demons killing other demons is delicious. You won't get a purer FPS experience than this. And it still holds up today. I suppose I could also bring up System Shock, but there would be little point. Other similar games share FPS elements, but are not FPS games, like Thief or Deus Ex, just simply share influences and crossover appeal. But if it wasn't for that genre, they certainly wouldn't be what they are now. I would argue they have more in common with the likes of the older games than any of the games coming out now, however. It was at this time that genre began going crazy with games like Shadow Warrior, SiN, and Redline, the latter of which is part car combat and Mad Max simulator. And the games kept coming. It's a long way of saying that the genre was built purely on fun and excitement with a very clear focus. You could also mention games like the last two S.W.A.T. entries and Rainbow Six for bringing strategy elements in. There was nothing off limits. And, as has been said, video games were one of the few mediums that continued impressing and growing into the '00s. 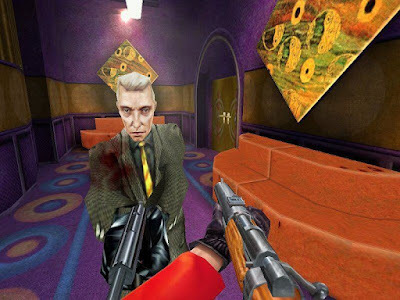 No One Lives Forever, Serious Sam, Clive Barker's Undying, Return to Castle Wolfenstein, Shogo, Judge Dredd: Dredd Vs. Death, Painkiller, and most games up to the second Star Wars Battlefront had at least something to offer the player while keeping the fun alive. Things were only looking up for the genre. Even the first HD console generation started off on a different note with the first Condemned entry. But then came along a game called Call of Duty 4: Modern Warfare. Now, I don't hate this game. As far as cinematic shooters go, it's still one of the best to this day and it was original when it released. It's very well directed and was impressive for its time. However scripted and shallow the level design might be, it is still well made. But it hobbled the genre and sucked all creativity out of it, damaging the genre for years afterwards. Everyone ended up copying its success. Shooters had to be "realistic" and "down to earth" while at the same time doing away with health packs for hiding behind cover until your bullet wounds simply go away. The absurdity sells itself. And this was the main problem with this new focus. Every weapon needed to be "aimed down" on with iron-sights which both obscured the screen and slowed down the action tremendously. Again, in the name of realism. Enemy types as well were now standard humans with no real differential AI or placement in a level. Monster closets were about as complex as enemy encounters ever got. Because of this change, strategy was practically gutted from any firefight, and level design was streamlined to compensate. Enemy types all having the same weakness (headshot) and body type (normal fit humanoid) cut down on the crazy enemy variety the genre was capable of and had indulged in. Wide open levels were replaced with one single hallway. This was pared down from DOOM's traditional labyrinth-like designs because players could get lost and need event triggers and explosions to keep them engaged and their eyes on the screen. This despite near two decades of history showing the audience was fine with the original approach. 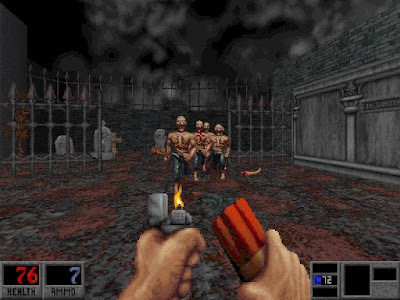 Whereas in early games you could carry ten weapons+ including crazy gizmos such as alien guns that could fire through walls, chainsaws, super shotguns, and portable wall turrets, you were now limited to two that were limited to realistic military hardware. The reason given for this was because it was "more realistic" and for "game balance" because creative weapons might be too imaginative for gamers and take them out of their fantasy experience. Also, so developers didn't have to extensively test balance between weapons and the levels themselves. And all this was in the service of streamlining and "casualizing" for the audience. Certain people blamed consoles for this. They were wrong. Games like GoldenEye and Perfect Dark existed solely on consoles and had big levels, a large set of crazy weapons, and multiple scaling objective for players to tackle long before Call of Duty existed. Even the original Halo: Combat Evolved had it. Not to mention the Timesplitters games. Games like Quake, DOOM, and Half-Life were all ported to consoles with no problems. They did not need any of the things Call of Duty 4: Modern Warfare made standard, and it is revisionism to say they did. The dumbing down was purely due to hopping on a trend train that ended up gutting much enjoyment from the genre while finding a convenient scapegoat. It had nothing to do with the limitations of consoles, but the limitations of developers. Around the time Halo and CoD hit fever pitch, the genre lost its way with clone after clone aping their original success. They all followed the same template, they all had the same aesthetic, and they all played exactly the same. This continued for years as the entire industry became bereft of originality or depth. New consoles came out, and the same bad decisions were still being made. It looked as if the FPS was never going to reclaim it's former glory. But then a strange thing happened. DOOM 4 was announced, and not only was it announced, but it was against everything modern shooters had become. Originally it was going to be another CoD clone. id Software even had a concept of it they showed around. But it sucked. It was predictable, safe, and forgettable. It was the anti-DOOM and against everything the genre was supposed to be. At some point they realized just how far the genre had fallen and decided to change course. So they went back to basics. They got to working on a classic DOOM game the way it would look if made on modern hardware. They decided to update the old formula and forget current trends. And it ended up being one of the best shooters ever. How did they succeed? Well, I'll leave it to the Razorfist review to tell you. DOOM 4 is one of the best FPS games I've ever played. The levels are open, the weapons are satisfying, the art style is fresh and engaging, and everything is just plain fun to do. It was as if they went back to 2005 and pretended the intervening years didn't happen when Halo and CoD were the only influences in the genre. This is exactly what FPSes needed. It remains to be seen if id's masterful gambit has paid off yet or if it will be ignored as soundly as John Wick's success has been by Hollywood, but I would hope someone is watching. The genre is turning it back around. However, smaller developers and publishers got the hint. For instance, there is Ion Maiden from 3D Realms and Voidpoint. A new shooter made in the old engine of Blood, Shadow Warrior, and Duke Nukem 3D, it uses modern tricks in the genre while still adhering to the roots that made the genre a success in the first place. Amid Evil and Dusk from New Blood Interactive. These are classic style shooters designed with modern sensibilities, but still retain what built the genre in the first place. Taking up from where the AAA industry has dropped the ball, these creators went back and reinvented the wheel, only giving it spiked tires and built-in machine guns. They are reminding gamers just where the genre came from. This is a long way to saying that you don't need to give up. Just because things might have gotten off the track does not mean they will always stay that way, or that no one else realizes the problems going on. Times are changing. Eventually it all comes back around again. So keep your chin up. A real revolution is on its way.